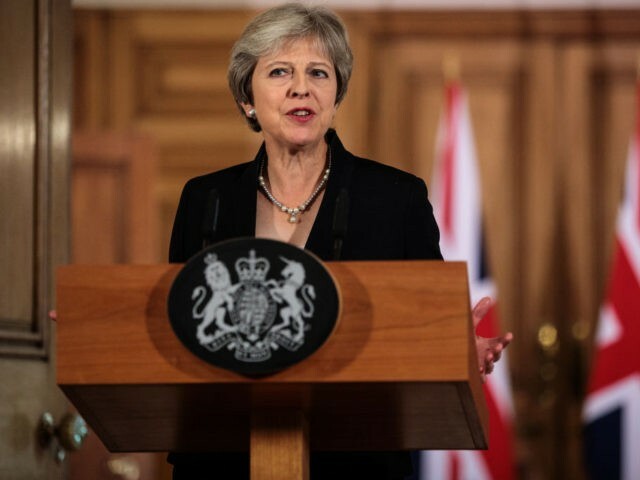 The Prime Minister has indicated the UK will accelerate ‘No Deal’ Brexit preparations after European leaders rejected on Thursday her proposals and mocked Theresa May personally on social media. Speaking in a surprise statement from Downing Street Friday, the Prime Minister said at “this late stage” of talks it is “not acceptable” for the bloc not to present alternative proposals when they reject ideas from the UK without explanation. She singled out EU Council President Donald Tusk for saying her plans would damage the EU “without saying how” or any giving and detail. After Friday’s summit, Mr Tusk captioned a picture of himself and Mrs May cutting a cake: “A piece of cake, perhaps? Sorry, no cherries.” It was widely read as mocking Mrs May’s Brexit plan, which has been described as “cherry-picking” elements of the bloc. “We stand ready,” she also blasted. Brexiteers, meanwhile, have long warned Mrs May’s ‘Chequers’ plan for a ‘soft’ Brexit would not be acceptable to the bloc and advocated either a clean exit or trade deal. Mrs May, however, said today the only options on offer from the European Union (EU) was keeping the UK inside the bloc’s single market or a “basic” trade deal, which would also mean dividing the UK to keep the Irish border open. The EU was “making a fundamental mistake” if they thought she would bend to these demands. “I have treated the EU with nothing but respect” the Prime Minister blasted, added that she expects the same from the bloc, remarks that may represent a noticeable change of tone. Despite her stronger language, she also promised that the rights of EU citizens in the UK would be protected even if the UK left without a deal. Leading Brexiteer Jacob Rees-Mogg commented: “…the EU is not acting in good faith. This makes the Prime Minister’s task harder and she is right to remind them that no deal is better than a bad deal… The Prime Minister has shown steely resolve at the eleventh hour and is standing up to the EU bullies.